UPDATED: Wed., April 25, 2018, 2:47 p.m.
INDIANAPOLIS – The most difficult part of the NCAA’s attempt to clean up college basketball begins now. It’s a winding path – crossing 351 Division I schools with varied priorities and concerns – and requiring consensus building and compromise for measures to pass. 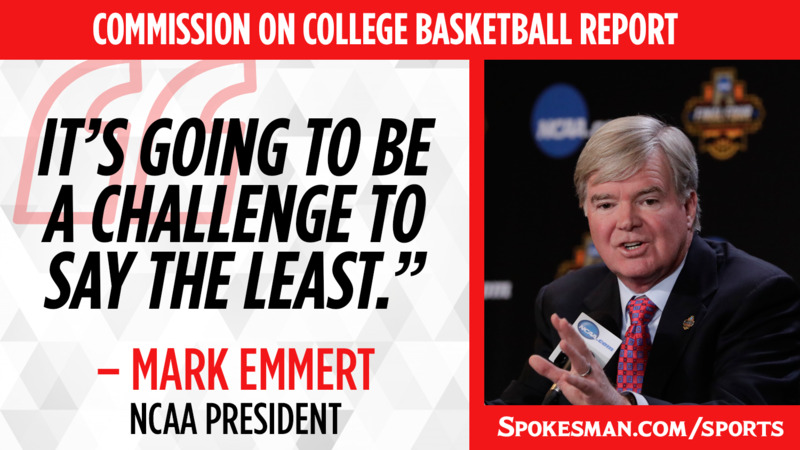 NCAA rule changes can sometimes take a full calendar year to sort out. The independent commission Rice led released a much-anticipated and detailed 60-page report, seven months after the group was formed in response to a federal corruption investigation that rocked college basketball. Ten people, including some assistant coaches, have been charged in a bribery and kickback scheme, and high-profile programs such as Arizona, Louisville and Kansas have been tied to possible NCAA violations. Published: April 25, 2018, 8:06 a.m. Updated: April 25, 2018, 2:47 p.m.